In his last Budget speech (2015-2016), Finance Minister Arun Jaitley proposed to set up a ‘Micro Units Development Refinance Agency (MUDRA Bank) with a corpus of Rs 20,000 crore. He said that there are around 5.77 crore Small Business units, mostly individual proprietorship, which run small manufacturing, trading or service businesses. These sole-proprietors or entrepreneurs of Small & Medium Enterprises, find it difficult to get credit / finance from the financial institutions. Today (8th April, 2015), Prime Minister Narendra Modi launched MUDRA Bank under Pradhan Mantri Jan Dhan Yojana Scheme. The main objectives of Mudra Bank are, to encourage entrepreneurs and small business units to expand their capabilities and operations, to reduce over indebtedness and to provide formal system of credit (finance). Agriculture & Self-employment will be the focus areas of Mudra Bank. Laying down policy guidelines for micro/small enterprise financing business. Registration and Regulation of MFI (Micro-Finance Institutions) entities. To assist the lower income groups to develop and grow their small businesses. To help in increasing the access of finance to the un-banked and to also bring down the cost of finance. To provide access to Institutional Finance for Small Business Units (SBU). Laying down responsible financing practices to prevent over indebtedness, ensuring client protection principles and methods of recovery. Development of standardized covenants governing last mile lending to micro/small enterprises. Formulating and running a credit guarantee scheme for providing guarantees to the loans which are being extended to micro-enterprises. MUDRA bank will also be responsible for regulating and refinancing all micro-finance institutions (MFIs) which are in the business of lending to micro or small business entities engaged in manufacturing, trading and services activities. To give priority to SC/ST enterprises in lending. It has been proposed to fund the units based on the stage of growth and funding needs of an entrepreneur or a micro unit. Under ‘Shishu’ Scheme, loans up to Rs 50,000 will be sanctioned. This is the first stage when the business is just starting up. Businesses/entrepreneurs/units covered would include proprietorship/partnership firms running as small manufacturing units, shopkeepers, fruits/vegetable sellers, hair cutting saloon, beauty parlors, transporters, truck operators, hawkers, co-operatives or body of individuals, food service units, repair shops, machine operators, small industries, artisans, food processors, self help groups, professionals and service providers etc. in rural and urban areas with financing requirements up to Rs.10 lakh. Sector/activity specific schemes, such as schemes for business activities in Land Transport, Community, Social & Personal Services, Food Product and Textile Product sectors. Schemes would similarly be added for other sectors / activities. The average debt of Small business enterprises in India is around Rs 17,000. If lending is increased to Rs 5 or 10 Lakh, the sector would benefit immensely and may generate lot of self-employment opportunities. Small business units generally face lot of challenges to get loans from Banks. So, they end up taking high-cost loans from financiers or money lenders. I believe that creating a bank like Mudra Bank will hugely benefit small manufacturing units and self-employed individuals in rural and urban areas with financing requirements up to Rs 10 lakh. Bringing in the informal sector into the formal system has many advantages for both business and economy. Latest Update : The contact details of Nodal Officers of Mudra Ltd have been recently published. Below are the details. For any queries related to loans, you can email them to [email protected] . What is your view on Mudra Bank? Share your comments. Sir, Please help me. My father (late). I am sales representative in 10year. I need help for loan.start from anyone business. plz contact:9942073756.
i want a loan upto five lakh for growth of own business. sir we want to grow up our business world wide, but due to our financial condition we can not purchase machines. we need mudra finance loan to develop our business. we are manufacturer of foundation bolts at ahmedabad; a city of Gujarat. Sir i am from Assam Guwahati how Can i get The contact details of Nodal Officers of Mudra Ltd uwahati Assam plsease send me details. i am dress designer,i want open my own boutique,but finacialy i am weak, so plz help me. I need money to explore my uniform business. BUSINESS WHAT I SHOULD DO.PLS HELP ME. We are from Guwahati, assam. We have a ngo and engage with different small projects. We are very much interested to work with PMMY project. Few days back one of the organisation has contacted us to start PMMY Project. We want to know whether this organisation name BENGAL EDUTECH AND SKILLS TRAINING is have permission from your organisation to do this kind if activities or not?? Whether this organisation is registered ??? We will be very much thankful to you if we get a clear information. Kindly let us know the procedure how to associate with you. I would like to Thank you for the Pradham Mantri Scheme, its helped a lot of people to reach their GOAL in LIFE. I am chemist at 7 years for jalandhar. & medicine line in 15 years. i am start a small scale industries for manufacturing medicine in jalandhar. i am also purchase some machines for medicine. we need Rs 20,000,00.00(twenty Lacs ) for the Business purpose. Are non IT Payers eligible for PMMY under TARUN scheme ? sir mujhe naya buissnes ke liye help cahiye.plz help me.M08974174534. i want to need mudra yojna loan to start a tea and tiffen shop in my own shop at chennai. I am interested in Mudra Bank Govt. Scheme Loans for small business. Kindly send all details for my mail. At present I am running a restaurant at Kochi in Kerala,our firm is located in infopark kakkanad and it’s a partnership firm.We are doing good business out there but the thing is as we are three partners it is essential to increase the revenue to meet our target.we are expecting your help for three bellow mentioned points. 3.to help to start new firm,as we already have an offer. Is any way Mudra scheme related to Housing for all scheme?. Can we get any sort of loan from Mudra and utilize it in Housing scheme. i really need loan . we are stated a Logistics Business on 2003 . I am SCcandidate .This is small scale business. please tell me which type of business is better to start. how can received PMMY loan. we are serious persons please help me……………………………. I want to set a printing unit. I have 15 years experience in DTP Designing and running own shop. Can I get PMMY Loan for Printing Press and other accessories. Sir i m vicky agarwal from jaipur sir mujhe meri family and mere liye gher purchase krne k liye loan chiye pls helm me sir. Though I am a business man and have all the document. I visited 3-4 banks including private banks. When ever I asked them about mudra loan they simply deny by saying “hamare branch me mudra nahi aya”. Its a good step for developing our nation. But I think if bank will not provide mudra dn how we will get benefited. I am from silchar. Assam. First wish me all the best. I would like to buy a land with the loan of mudra And want to construct a building for students as a hostel. That is my projection for getting loan. AS ON TODAY THIS PMMY LOAN NOT REACHED PROPERLY TO THE PUBLIC . THROUGH BANKS / FINANACE CO, CO-OP THEY ARE MAKING MONEY ON THIS . mala poltr farma sati lone pahije tar mi benk la pan te lone deta nahi sir madat kara plg. but now I want to open again . so mudra yojna can support me or not. I want to know, how many days takes processing for sanctioned Shishu Mudra Loan after submitting all the documents which is necessary for it & Is it necessary Income Tax Return file for the purpose of new business establishment? I want to state that , to Govt. Of India coming 12-th January celebrate the ” National Youth Day ” in all over India in form of large scale. Because the education of Swamiji is very very need to the students and young generation in present time . Swamiji is the real icon of young generation. He said ” Man making is my mission , all power is within you , you can do anything and everythings ” . And also said ” Arise ! Awake ! And Stop not till the goal is reached ” . Today’s time this message is to be spread to the all students. Then they are become a actual man , which was the dream of Swamiji . I m bhushan from devgad,kokan region maharashtra.i m working in the food processing .i want to start my own mango processing unit.so i need the loan amount upto 5 lacs to purchase various machine.for that I met the manager of nearest branch ofBOI to avail the mudra loan .but he refused my application saying that this sheme is not for agricultural business.but i m not producing the agri produce. I m just going to preserve and process the agri produce. So pls tell me that whether i am eligible or not??? And to whom i should approach for further assistance. we are working in a accounting department of pvt company in a Kerala. we have plan to small scale business. please tell me which type of business is better to start. how can received PMMY loan. we are serious persons please help me……………………………. Sir, mujhe RO water plant lagana hi jiske liye hume lone ki jarurt hi . Sir loan lene ke liye kya kya document chahiye ar iske bare me hume detail jankari dijiye please …. I am a student and I want start my own business so please help me to get this loan. Sir I am in open Category I would like to start net cafe & maha e seva kendra buiseness in solapur City. So please help me for loan up to 5 Lacks. Sir I am in SC Category I would like to start Restaurant buiseness in Pune City. I am serious about buiseness. I am from hotel industry. I’m planning to setup a interior company which look after the whole food related works like modular kitchens,TV units,wardrobes ,for startup this business need 30lakhs loan..can I get it from mudra,if not pls advice other possible sources. You may get loan, kindly approach the nearest bank or the bank where you have your bank account(s). I agree that there has been a mixed response to this scheme. Kindly contact Mudra bank officers directly and leave your feedback. Kindly visit my other article for details.. I find it difficult to understand the concept of Mudra Loan to start up business houses as the following requirements to apply are in direct contradiction of its claim. How can one submit 3 years audited balance sheet, Income tax returns , SSI unit registration + load of mandates ? It is just a tall claim and will serve only those with connections. 6. (Memorandum and articles of association of the Company / Partnership Deed of partners etc. 7.Assets and liabilities statement of promoters and guarantors along with last income tax return. 8.Rent Agreement (If business premises on rent) and clearance from pollution control board if applicable. 10.Projected balance sheet for the next two years in case of working capital limits and of the period of the loan in case of term loan (For all cases of Rs. 2 lakh and above). 12.Photocopies of lease deeds/ title deeds of the properties being offered as primary. For loans up to Rs 50,000 , terms & conditions are minimal. But above that, yes there are too many T&Cs from bankers’ side. Agree with you. Sir, mujhe new distributersheep ke liye PMMY ke under 5lack ki jarurat hai… Lekin bank manager kehte hai ki woh hardly 50,000 rs tak loan de sakte hai.to sir plz.help me. aur koi bhi support nahi karta . Sir goverment bahut kuch yojna garibo ke liye hai lekin 1 bhi yojna hamre garib ko nahi milti sab coorupt hai . Mai bahut bar gaya corporation bank tikri border Delhi me bolte hai manager ki 2 October tak hi tha loan ka date ab nahi milega .ye bat ka board lagana chahie ya camp lagana tha bank ke pas. sir maine 2 banks me baat ki lone k liye.. pr PNB fatehgarh u.p. ki bank ne lone k liye gaarantee mangi hai or allahabad bank badpur farrukhabad ke manager k paas lone ki baat krne main 4 baar gya bt koi sahi response nahi mil raha. jb ki meri sari details wo mujhse le chuke hain. tym nahi hai tym nahi hai ho jayga kah kr abhi tk nahi kiya. mujhe koi bank lone kyu nahi kr rahi jb ki mere paas business hai home hai. fir bhi banks mujhe lone krne k liye taalmatol kr rahi hain. as u can see schemes on news papers. no good comments by needy. Suggest you to give your feedback and contact MUDRA officers. I have provided their contact details in my other article..Click here..
sir, i am swarna maurya from varanasi. no bank will respond me for mudra lone . to whoom should i complain for it. sir, i am swarna maurya from varanasi. no bank will respond me for mudra rinda . to whoom should i complain for it. Kindly contact MUDRA Zonal officers..I have provided their contact details in another article..click here..
You may read my article on ‘Vidyalakshmi portal‘ regarding Govt scholarships and educational loans. I think it depends on the bank/bank branch’s policies and guidelines and your requirements. I’m arjun sharma from tensile ranbir Singh pura,distrct jammu,state jammu and kashmir.I was very glad. When I heard about the pmjdy mudhra.but,when I visited to my nearest banks,not to apply just to grab the details about the scheme.. I visited to jammu and kashmir bank Ltd.state bank of India.hdfc bank Ltd.Icici bank Ltd.etc.I was very shocked,when I found my self fail. The only one reason that’s no body had the details about the scheme.some managers said.”aise to bhaut schemes ati hai kya hum sab ko paise dete.rahe..prime minister ne Hume kya dena hai.jab hame reserve bank order dega hum tab hi market me dege”.some. Said our bank just received the mail.related to scheme,but still we are not ready to.provide. So,I received these kind of help.I would like to ask one thing from you.when prime minister had launched the scheme.had he discusses with reserve bank.if “yes”.so why not these bankers help to people. I would like to request you, please stay strict to the banks. I too have been getting mixed reviews/feedback on PMMY Scheme. Some banks have implemented this scheme very well and some banks are just ignoring the loan applicants. yojana bahut achhi he lekin garibo ko bank sahyog nahi karte. I am from bori-431508.my age is 21 iwant to start my own business . Dear Sandeep..We do not offer any loan or financing services. You can apply for mudra loan by visiting nearest bank. Nighat, please do to your nearby bank branch. They will guide you with the process. Please yahaan site pe apna mobile number mat daalo. i have visit nearest 5 banks i.e. sbi, bank of Baroda, Allahabad bank, Hdfc bank , idbi bank all bankers are not guide me properly some one says they are giving loan under SHISHU only thier account holder , some banker said they have completed their target now they will not provide. some bank said they have not started for mudra bank loan. its humble request to authorized person of Mudra bank loan department please provide some common information to all bank staff though they don’t pass their benificial rule to us as an conditional way for applying mudra loan . sir i needed loan under TARUN scheme but here noone is guiding us properly what document we have to submit and to whom we have to submit and all are saying mostly that we are giving maximum 50,000/- under SHISHU scheme. Dear Pradeep..That’s very sad to hear. In which bank do you have savings/current account? You can also contact MUDRA Nodal officers directly to share your feedback or grievances. Sir, aap apne kareeb k bank mein jaao. Woh aapko jaankaari denge iss scheme k baare mein. Kindly note that we do not provide any financing or loan services at ReLakhs. This article is only to provide information on MUDRA Scheme and help the small business owners to realize their dreams. You may also read my article – “How to apply for a Business Loan under Pradhan Mantri MUDRA Yojana? ” for more details on this scheme. i am bheriumamaheswararao 45 years male. i have 20 years of market experienced. i want to start departmental stores at Hyderabad kukatpalli or pragatinagar or any good residential location. i need 10,00,000/- ( tarun ). kindly give me reply. please call me at 07396638862. Dear umamaheswararao..Kindly read my other article on ‘How to apply loan under PMMY Scheme?‘ for more details. Sir i am Roufuddin Ahmed from Guwahati, Assam. Sir i want to start a new business as my family do not have any income source rather than me now. I am working as a front office associate in a hotel here in Guwahati. Sir my sallary is not sufficent for my family. sir kindly let me know what are the documents required to apply for the loan. plz sugeast you r mudra bank yojana mujhe 500000/- ka lone chahiye plz mujhe ye bataye ki iske liye kya karna hoga our kya kya peper lagenga.muzhe mera khudka biznes shuru karna he . please sir loan apply ke document & kya karna hoga. Mine is a producers firm, producing 8 products related to Aloe Vera. I want to provide self employment to 2 persons each in one Mandal and one per 5000 population in Urban areas. Minimum of 1500 persons in Telangana and 2000 persons in A.P. will get self employment through my plan. My plan is simple the unemployed youth will place Rs.10,000/- stock advance for which they will get stock worth of equal amount. They will be given remuneration of Rs.7000/- and a bus pass worth Rs.500/- for the selling the stock worth of Rs.1000/- for 25 days. If they sell more they will get extra commission of Rs.200/- per Rs.1000/- sale. If they sell less the deduction in remuneration will be Rs.200/- per Rs.1000/- up to Rs.15,000/- turnover per month. If the sale is less than Rs.15000/- per month, no remuneration will be paid except providing commission on the sales of Rs.240/- per Rs.1000/- sale. This will be through a stamped agreement between my firm and Unemployed youth. Aloe Vera is gaining lot of popularity among diseased, healthy and beauty conscious persons in the society. My Company is having all Government Licences and producing export quality products and the rates are very much reasonable and affordable. We will provide training on product usage, sales management and personality development along with a certificate from CARE, a international NGO. We are inviting persons with entrepreneurship qualities for taking up of this business District wise in both Telangana and A.P. States. The probable investment will be Rs. 5.00 lakhs and a office. The business through stamped agreement between Company and Distributor. They will be given attractive share in the margin of business. Even they can take Mudra loans for this purpose as we are giving stamped agreement. sir I’m from karbi anglong, that I found mudra yojona has provided the loan for small businessman and I am too interested the policy sir. I want to get the loan of your organizing policy and I want to open computers repairing centre. Plz kindly inform me by all details with loans applying form. Thank Q.
I want to Kishor loan by mudra bank .please details terms & conditions provides. ಸರ್, ನಾವು ಬ್ಯಾಂಕ ವ್ಯಾವಸ್ತಾಕರನ್ನು ಮುದ್ರಾ ಯೋಜನೆಯ ಬಗೆ ಕೆಳಿದರೆ ಮಾಹಿತಿ ಇಲಾ ಹೆನುತಾರೆ ಸರ್. I have running a nice business (health care business), I want to upgrade my present business, so, I need some amount at least Rs. 5,00,000/-(Five Lacs) under this scheme. Kindly suggest me. MUDRA Scheme launched by our PM is a another wonderful step to help the needy small entrepreneurs but I have found in reality when one visits Banks the bankers are seen with showing poor response. Is there any organization where one can speak to regarding the denial or not financing the Loan as per the rule. I already have an existing business and would like to expand it. Please let me know the procedure to avail a loan through Mudra bank. We are into BIO-MASS BRIQUETTES ( White Coal) Did a business of app. 60 Lacs in FY-2014-12. looking for Working Capital assistance. Can we get it thru MUDRA? Our’s is Pvt. Ltd. company. Sir mai ek bag industry kholna chahta ho mujhe 10lacks rupees ki jarurat hai mujhe batlaye mudra bank se loan ke liye kya document dena hoga. Muze health centre aur beauty parlour ke liye 5 lakh loan chahiye iske liye kya karna padega Becz muze Bhot need hai .mai well educated hu fir bhi muze job nhi hai please help me sir. I want loan through MUDRA bank. I have already start my business but I want increase and improve it. For that I need the some money. Please email me what is the terms and condition for this loan? I want to get loan for start my business. I have completed B.com. I have not enough money to start my business. I need more money at least five lack. Plz help me sir to get Mudra Loan and tell me all terms and conditions to eligible for this Yojana. We sisters would like to open new business of Elegant/Gorgeous Painting well framed to decor the wall of Office/Home/Hotels/Hospitals etc… We would like to benefit from Mudra Loan to start our business. Iske liye mujhe kiya karna hoga ? Dear Pradeep..Kindly read my another article on “How to apply for mudra loan?” for more details. Ye yojna ham log tak bank pahucha nhi pa rhi h aur bank me puchne pe bahka de rhe hai jaise paisa apne jeb se de rhe ho apni manmani kr rhe hai sub. Kya bolu sir kisi tarike se byapar chal rha h bas pdhai krne pe naukri v nhi mil paya . Yojna achi h bt koi bank de nhi rhi ..
Sir I have space in my House n I want to Open a Restorant in my Space . Please I Need Money To Open. If You Help me then I will Alway’s Oblised For That. Please Contact in This No – 9570100101, 9709125463..
in Government Sector and Online Marking System In Education Sector examination copy & OMR sheet they are related with scanning Project. I have need More Money For developed my business in this ways . I need your help. 1. We have provided Jobs for Many Employs. 2. We are change Old Document in Digital Format. Its my own business from last one years & AT PRESENT WE ARE VENDOR OF JIL INFORMATION TECHNOLOGY PVT LTD( JAY PEE GROUP) and i have experienced last 15 years in this filed , For example Like :- Digital India Conception & Digital Library & Old document scanning in Government Sector and Online Marking System In Education Sector examination copy & OMR sheet they are related with scanning Project. I have need More Money For developed my business in this ways . I need your help. your all articles are very acknowledgeble. Kindly you help me to avail the MUDRA LOAN. Where can I apply for it; inspite of our semi urban areas bank has all ready reject to have these knowledge.They say that they do’nt have guided or sercular for it. Summary : They flattelly refused about it. So you do something please! 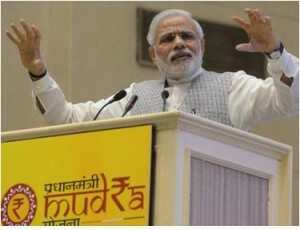 since I hv heard bout the mudra yojna a lot ..but little bit confused coz no any bank giving the detailed information about this scheme, only they says it yet to be started soon.. sir plz help me with the details how to apply for this mudra loan ..as I am a young new businessman running my business for last 4 years .. this year my business got nearly collasp because of losses.. I had tried many banks for loan but without collatral they don’t proceeds.. I heard that mudra scheme provides loans without collateral so it suits my needs ..plz help me out with the details . I have all my necessary documents. Respectedsir, lam run my business six years.Iam devalope my business.I want loan 10,000,00rs.Please help me sir. Respectedsir, lam run my business six years.I have devalope my business.I want loan 10,000,00rs.Please help me sir.How my coment duplicate sir. Respectedsir, lam run my business six years.I have devalope my business.I want loan 10,000,00rs.Please help me sir. Iam run my business six years.Iam devalope my business.I want loan 10,000,00rs.Please help me sir. I need a finencial support to Start a Pathology laboratory at my home town. I need to open a cloth store in pune kindly help me how to prosses a loan. Jharkhand-ranchi main Kun SE baat karna hoga..
Good scheme by the Government however the values are too low. Also these schemes should be accessible through banks or post offices just like other schemes. M a Bba student..n i want to start new business ..so i need fiancial support..my contact no..9370636417.thank you. Sir, I am proprietor of water supplier to villagers by using vehicle and I need some more financial support for expansion of my business . I m civil contractor and due to money shortage I m not able to take any big project.please tell me,can I avail tarun yojna of MUDRA BANK scheme. I am started a small bisness but i have no money. So I have loan to start my bisness. I have loan art studio minimum Amount. I want also a finance,but are bms giving me? Sir i am engineering .so my project is related to solar power then use in all types of transportation vechiles so kindly request to you sir financial support. ? Dear sir I m a small business man . I need a financial support for business my work is making sign boards . my name is Ajay Singh and i am small business man sector in service & iwant to 8to10 lac..
i need chennai region office address,i planned to form cattle farm.what is the way for getting loan .please tell me the way for approaching the bank. This is Kiran from Visakhapatnam district. I want 5lakh loan for dairy farm.so please give me details. Please Sir Inform me It Is Possible Or Not At My Number 09693056276 or 09504559783. I Shall Be Thankful To You For This..
Ha i am prashanthkamboji. I want 10lack lone. I need loan of 7 lacs for opening small dairy. I have starting goat farming buisness. sir, mujhe photo copy, internet ki shops ke liye financial help ki jarurat hai please mery help ki jaye. Please contact me emmediately as i am looking for a loan. Contact me 9999360375. I am Director of Shivraj Vinayak Consultancy Private Limited for two years which deals in Manpower supply at pan India. I need for 25 Lacs business loan to Soyabean Dairy Plant in home town Patna Bihar. what will be procedure for documentation formalities. Chalane Aasani Ho, Aapki Bahut Kripa Hogi. I am noticed that P.M new scheme related to the small industries project specially for rural area in India. i am so interesting to initiate the project desiged by our Prime Minister Narendra Modi. I am from Darjeeling Dicrict of West Bengal would like to know details about this project . It would be grateful if you advise me to find out the project. I want to open a Distributor of HERBAL products. I want suggestion that i am able for loan and if yes then how much?? And what is process for application. I am manufacture of herbal medicine. so please tell me that i m applicable or not for mudra loan, if yes so how will be apply for that. I already started food prosessing ”tamarind”. I sell this prodacts in super markets and grossery stores……. Sir I am in need of money. M a shop keeper .kindly please tell me how to apply for mudra loan.pls ASAP. Hi sir I am started business I business in opening retail I am send you detail in loan shoudle please sir. Sir i have a welfare society,can i get a 10 lak loan under mudra.sir want start a micro finance company in my rural area to give small loan for poor people. i want to take this loan kindly send me details and how can i apply this loan in ajmer? Hi I am Karnataka I wanted to know how to apply for mudra bank yojana . is it applicable for the professionals like dentist is it they can get. Loan under this scheme how to do procedures. Kindly request u to send the information. Hi,I like to apply loan in mudra ,but I don’t know how to proceed please help me. Asansol mai kab khulega mudra bank. I am from delhi, please give advice me, how to take loan from Mudra Bank & what is the actual process to take loan, i have starting business and this ms is my number 8802953010. Sir I am New Enterpineur I Have Sanction 6500 sq mt Land Of MIDC Bamanwada Dist-Chandrapur I Have Alout That Land Before Two Years. I Have To Established My Industry So my Required 10 lakhs. So Pls Give Me Some Response As Soon As Possible I Waiting For Your Reply. how to apply to for a loan. mai privet job karta hu , plats mai le lunga but ghar banane ke liye paisoki jarurat hai tho mai mudra lone lena chahta hu .plz bataye. How to apply loan in Mudra Bank.. Please tell me detail for MUDRA plan. I am a director of an educational Institute. i want to upgrade my business. It’s a good scheme, but how to avail from this scheme? I do not have the required details. Suggest you to contact the nodal officer of your area. How can apply online for Mudra Yozana ? Loan required 2lakh for my new herbal medicines manufecharing. Pl. Give me details. I have now updated the article with the contact details of Nodal officers of Mudra Ltd. You may contact them. All the very best! I m Pawan From RP Engineers Delhi sir mai Electrical Panel ki Manufcturing ka Plant lagana chahata hu aur Electrical Parts Ki Shop Kholna Chahta hu mai One Year se Delhi me DVAT Me Ragister hu . I have updated the article with contact details of Nodal officers of Mudra Ltd. You may approach the nodal officer of your nearest location. Need funding for starting a new business?Then apply for MUDRA YOJNA launched by PM Narendra Modi http://bit.do/Get_funding. I am working as a Application engineer in a manufacturing sector in Bangalore. I have to open my own company with some cnc machines and due to some problem in my financial i couldn’t invest such a large amount. I was thinking that if i get a loan from Mudra Bank to start my company along with some employees as a manufacturing sector in Bangalore. Please provide me the details of a documents required and i will submit my project report to the bank to get the financial facility. how can i apply for mudra bank loan & what should be the elligibility,doumentation criteria.this is the best move by our onerable pm sir.please let me share where should i contact for the same, as i am from surat, gujarat. Request you not to share your contact numbers here, they may be mis-used by others. (Disclaimer – Do note that, personally I do not share the contact numbers provided in my Blog with any other third party). Its my pleasure to get in touch with so many entrepreneurs here. I will definitely update this post with all the required details as and when they are available. have a readymade shop in my village and want to avail loan facility from Mudra Bank. How can I apply in mudra bank for bussieness loan ???? in Maharashra! mudra lone ksa milge. pl bto koi. We would like to know when the further steps to approach MUDRA for applying a loan to set up/already running business. The procedure and where to approach? A great job by our PM to help the small and needy vendors. SIR, I M INTRESTED IN GEETING MUDRA LOAN..PLS CALL 9811175693..THNX..
Sir I am handicraft artist.mein regular kaam ker reha hoon but fininceal problem ke karen apni mangil ko nehi tuch ker pa reha hoon.mujhe medra yojna ka benifit lena hai please help me.mera firm dic mein registered hai. It may take some more time for the bank to issue the loans. I will definitely provide all the required information. Mujhe ish loan ki bahot jarurt hai kyunki mujhe ik water plant aur ik alluminium sheet plant laga h . Please mujhe guide kigeye ye loan lene k liye mujhe kya karna hoga. Hello, We have a Boutique of Tailoring Services and Fashion, Tailoring material. Want to invest more in Sewing Machines and Cotton Febric & Saree Fall. Kindly suggest for Business Loan for Micro Enterprises with low interest. We have Two Years Balance sheet ITR returns having turnover around Rs. 5 Lacs Approx. Yes, you can get the loan. Let’s wait for more details. Will you provide me information regarding how can apply for a loan, and what documents are required. I think of starting a new business. Please tell the details as early as possible because i am in need of a loan. How to apply loan in mudra bank. Which documents required for loan in mudra bank. Pls give me Right information. Please publish all branches of Mudra Bank in Delhi. Sri Modi ji & BJP Govt. Thanks to our new Prime Minister Shri Narendra Damodar Modi for launching such a great yojna for the economic development of India. This will surely work only my request to know how to apply for Mudra loan yojna. Kindly let us know the procedure and the documents required for it….. Yes, this is a good initiative. As of now, Govt has not released any info on the procedures, terms & conditions etc., Will update as and when they are available. I have a small scale engineering unit . How to get loan from Mudra Bank. Kindly give me gidelines & details please. Iam also thanks to interduce the like this schem fr0m central govtment. very very thanks to priminister Sri Modiji & BJP Govt. Sir how to apply for loan in mudra bank. Which document need. Please give information. Plz reply about tarun scheme n interest plan chart, how to get a loan from mudra bank…..
How to apply for Loan under Shishu Scheme from Mudra Bank? How can I apply in mudra bank for business loan. Please publish all branches of Mudra Bank in kolkata. ,…how can i get mudra loan in kasaragod dist.इं in kerala state? where are the branches in kerala? How can I apply in mudra bank for business loan. Please publish all branches of Mudra Bank in Delhi. Kindly inform and guide me how I can get this loan and what its details procedure. sir hum ye loan kaise le sakte hai aur iske liye kya documents chahiye kirpa sari detail hindi mai bataye Thanks. I really want to appreciate from heartily for this opportunity. If i got Business Loan with a low interest of Amount from Madura Bank, then definitely my life style will be change and nobody can stop me to improve my economic condition. So please let me know what is the procedure to get Business Loan from Madura Bank? As of now, not much information is available. I will surely update the article with all the required details. Thanks for appreciating me. As per your article, i 100% agree with you. So lets wait and watch. I want loan for my business. How i got loan under mudra project. We are mfg & dealing in plane , & sports t-shirts. I want loan for my optical store. where is the mudra bank in delhi. Hope this scheme will certainly help the small entrepreneurs if no political involvement or corruption is followed. All the banks are now under screen test. This shall not be happened in this scheme. Thanks to Prime Minister Modi! This is a great initiative. Let’s hope it gets executed well. Agree with your views. Plz reply about tarun scheme n interest plan chart……….I get a loan from mudra bank….. I want capital fund for to start hotel. State hiway. How can I apply in mudra bank for bussieness loan ???? I am a trader in textile field. How can I get a loan from mudra bank.? How one can get loan under Mudra Bank?